In previous article I explained How to Send Multiple Emails by Using Gmail Account. 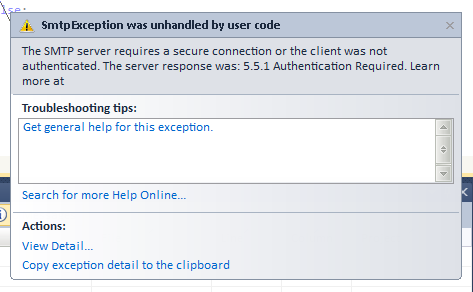 Now i show Resolve a SMTP Server Secure Connection and Authentication 5.5.1 Required Error | The SMTP Server Requires a Secure Connection or the Client was not authenticated and How to Send User Confirmation Email after Registration in ASP.NET by using C# Coding. Please Confirm that you have set SMTP Authentication correctly in your code or not. 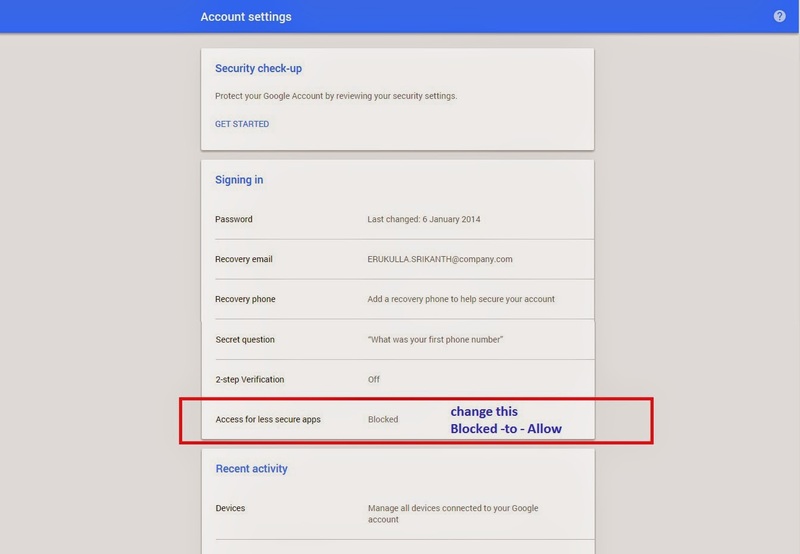 If there is no problem with your SMTP connection in Codeing, but you still got the message mentioned above, it should because Gmail blocked the authentication from our server as it detected that it is the first time you login to your Gmail account from another Country or Location. You will need to login to gmail security center to approve the authntication. Once you approved it , please wait a few minutes then check afterr registration its sending email from the codeing. Here are the steps to approve the "Access for less Secure Apps from Gmail Security Center. 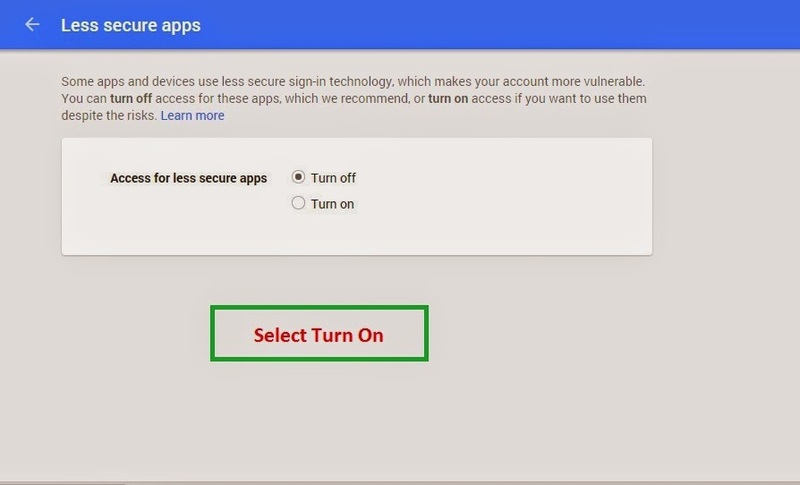 go to Gmail Security Center via this link below or google search for "gmail secrity" and login with your gmail account. 1 Komentar untuk "[Solved] - SMTP Server Secure Connection and Authentication 5.5.1 Required Error | The SMTP Server Requires a Secure Connection or the Client was not authenticated"
It's 100% Cheap & Inbox Guaranteed Delivery. Take 14 Days Free Trial. Add 1000 contacts & send unlimited campaigns. - You Can SEND UNLIMITED MailS without limits. - Custom HTML editor, Web forms, Follow ups, and Auto-Responder. - 99.5% Inbox Delivery and Real time reporting. In other network, they are charging +1000 USD for 1 Million Mails / contacts. But in http://j.mp/outboxmailer-affiliate-004 is cheap at Just $59/month. ?